Call our Kendall Park, NJ dental office @ (732)422-7777 to schedule your appointment! A standard of excellence in personalized dental care enables us to provide the quality dental services our patients deserve. We provide comprehensive treatment planning and use preventative dentistry, restorative dentistry and cosmetic dentistry to achieve your optimal dental health. Should a dental emergency occur, Dr.
Satwah will make every effort to see and care for you as soon as possible. Infection control in our Kendall Park dental office is also very important to us. To protect our patients and ourselves, we strictly maintain sterilization and cross contamination processes using standards recommended by the American Dental Association (ADA), the Occupational Safety and Health Administration (OSHA), and the Center for Disease Control (CDC). 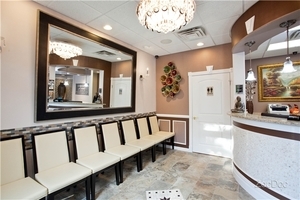 Make an appointment today in our Kendall Park, NJ dental office by calling (732)422-7777.